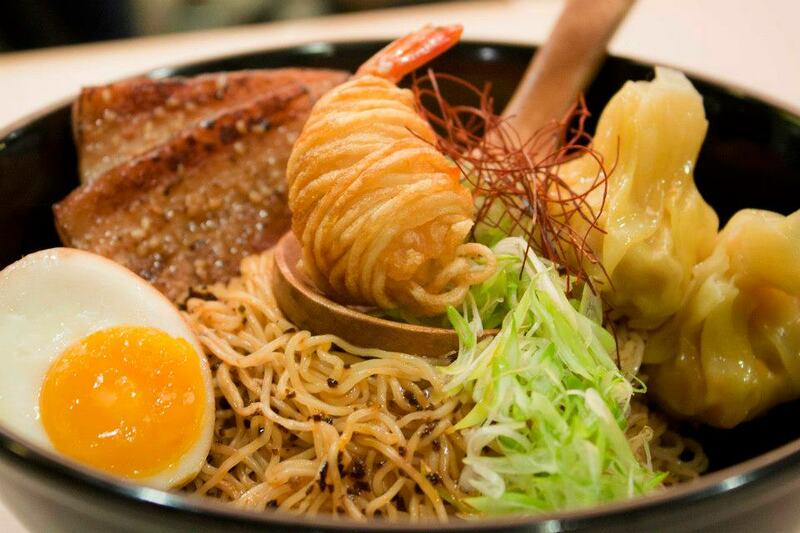 This Singapore-style ramen hawker stall has proved its popularity with an overseas expansion. It recently launched its flagship franchise outlet in Causeway Bay, Hong Kong. 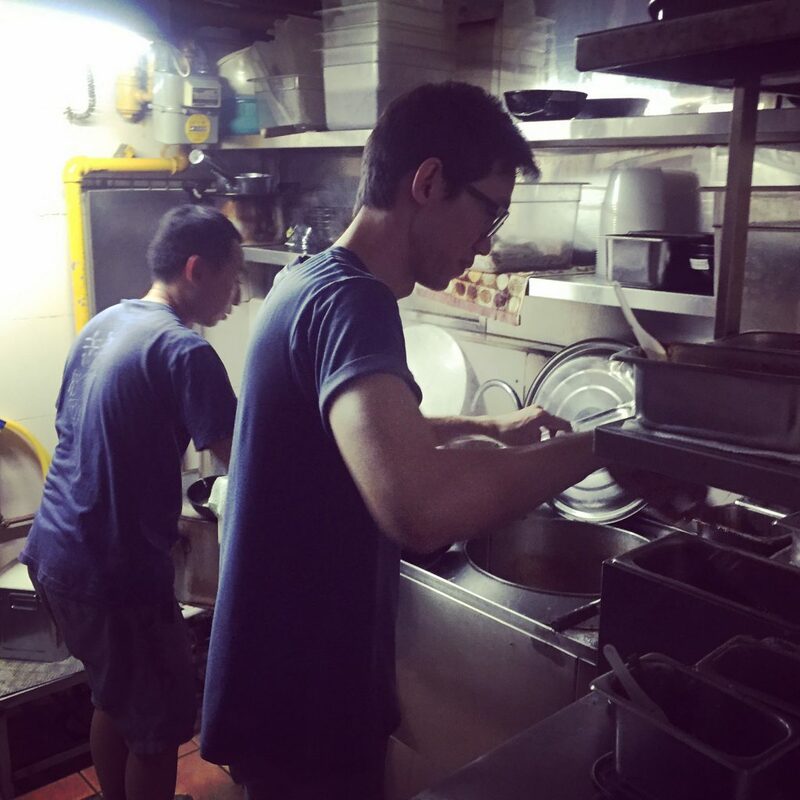 Describing those days as “tough”, one of the co-founders said that they were faced with a “mountainous” amount of preparation work and it was a “mad scramble” to get ready for lunch service every day. They had to endure 14-hour work shifts, and often had their first meals late in the afternoon at 4pm. Although there were days when they doubted themselves, they “persevered” and “pressed on” till the “tides slowly [began] to turn”. He added that this overseas expansion is “just the start” and they have “bigger plans” up their sleeves. He trusts that they will “break new grounds” and warmly ends the post by thanking their fans for supporting their business thus far. Nestled in a neighbourhood of nocturnal bars and sprawling office buildings, the unassuming Amoy Street Food Centre stands out. But not because it’s grossly out of place – it’s actually a well-recognised hotbed of good eats, both among those working in the area and Singapore foodies in general. And it’s even got the Michelin inspectors’ approval to prove it. Hoo Kee Rice Dumpling, Hong Kee Beef Noodle and A Noodle Story are 3 stalls listed on the Michelin Bib Gourmand Guide for the past 2 years, but that doesn’t stop the queues from forming at the many other finds in the 2-storey funhouse of food. 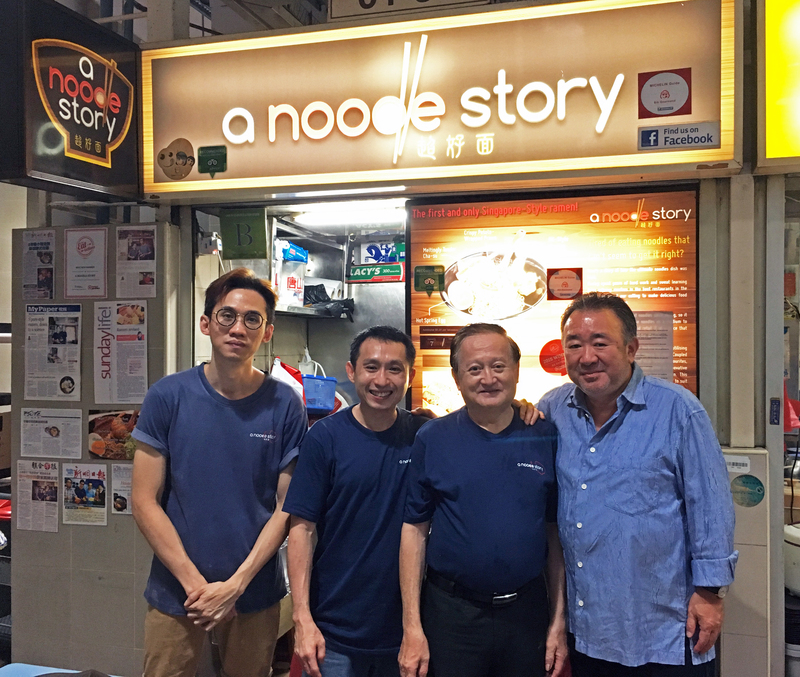 While the first 2 have taken a traditional dish and elevated it to perfection, A Noodle Story has taken a Japanese dish and given it a Singaporean twist – to great effect. What’s interesting to note is that its co-founder and chef Gwern Khoo (36) worked at Michelin-starred Waku Ghin before his venture. Serving up Japanese-European fare at Marina Bay Sands, it’s no surprise that Gwern took his experience there to start up. The result is a delicious cross between Hong Kong-style wanton mee and ramen – springy noodles, succulent wanton, Japanese-style cha shu and an onsen egg. In spite of the never-ending queues of customers waiting for their bowl of noodles, Gwern kindly took out some of his time for an interview, as he unfolded the chapters of A Noodle Story. Gwern’s passion for cooking is apparent, even in his responses via email. 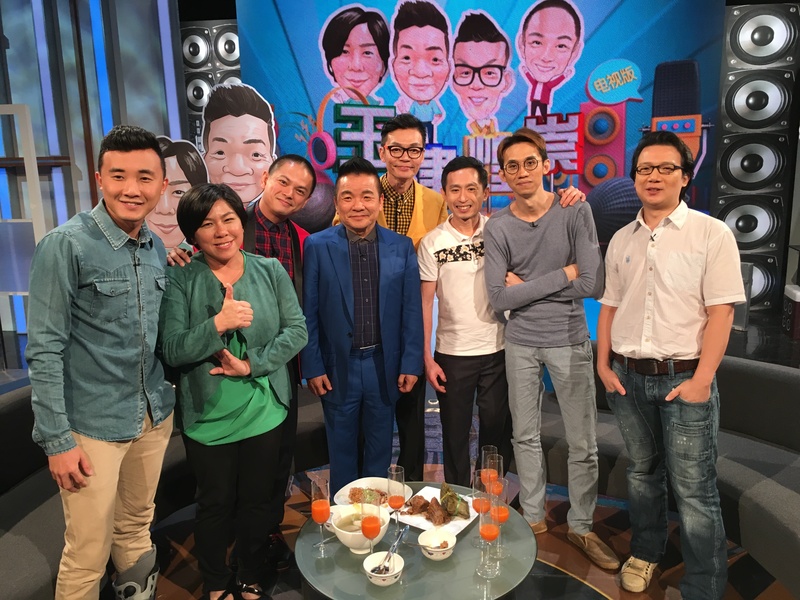 Having worked part-time at Shangri-La Hotel in his teens, he got so “sucked into the world of cooking and hospitality” that he quit his higher education studies midway to dive full-time into a world he describes as “vibrant and exciting”. But just being part of the kitchen crew wasn’t his only goal – he wanted to eventually carve out his unique path with the experience he gained through the years. When you’re working in a restaurant, you’re cooking someone’s else food. I’ve always loved to create new dishes even when I was a chef. I get immense satisfaction when friends and customers come up to tell me that they love my food. 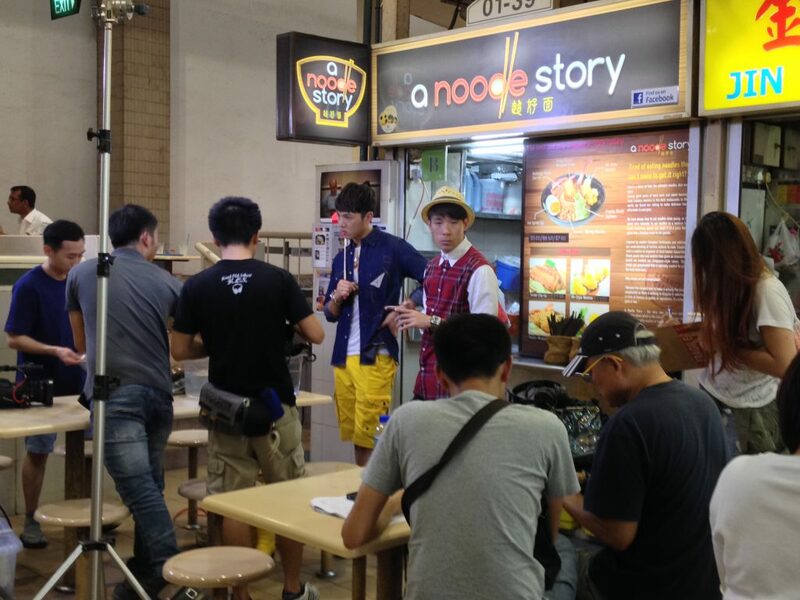 Thus, on 17 February 2013, he set up a humble store with co-founder Ben Tham (35) on the first floor of Amoy Street Food Centre. For him, a hawker centre was a low-cost platform to try out his ideas and test his concepts, and he wasn’t fazed by the less glamourous workspace, even after years of working in some of the finest of restaurants in Singapore. I believe it doesn’t matter where you cook; whether it’s in a hawker stall or in a restaurant. So long as you do it from your heart, cooking for each and every customer as if they are family, people will be happy. I’m happy when my customers are happy. His parents, well-aware of his passion for cooking, supported his decision to venture out on his own. In fact, Gwern’s dad is helping the duo out at the store currently. He cites the growing acceptance of being a hawker to the changing impressions many have of the profession. Gwern’s decision to sell noodles was something that came naturally to him – mainly because of his love for noodles, which he declares he could “eat every day”. Picking a dish that he enjoys on a personal basis also makes sense to him, business-wise. 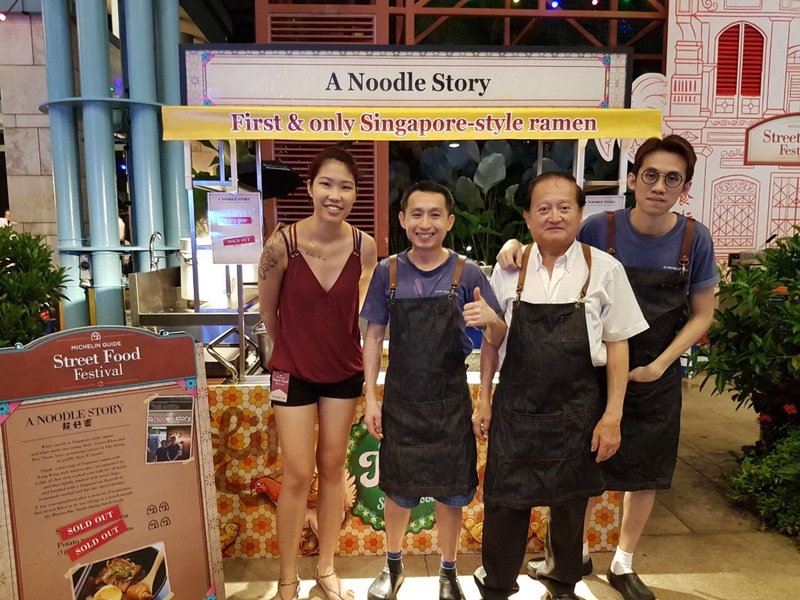 His inspiration to create Singapore-style ramen also came from his observation that there was an ‘uptrend’ in Japanese cuisine – especially ramen – in the recent years. 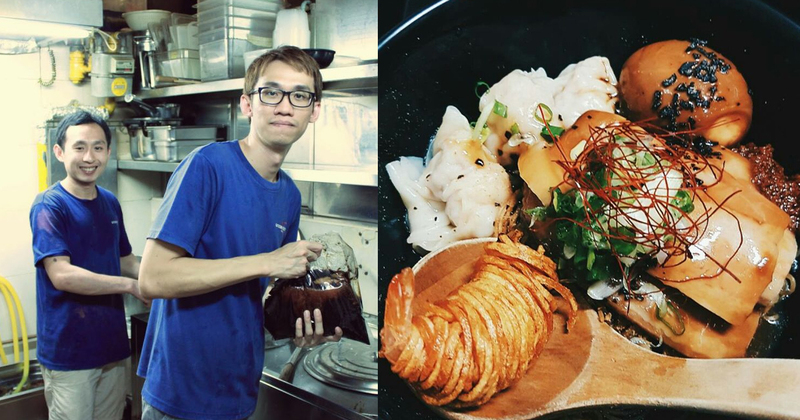 Knowing that he could not take on the famous Japanese chains that have set up shop in Singapore, he decided to give a unique ‘mee pok tah’ (dry mee pok) twist to the dish. Setting up was also relatively quick – just 2 months from drawing block to serving the first bowl. Gwern cites this quick turnaround to the contacts he acquired from his chef days. He admits that while there wasn’t much business at the start, crowds soon started swarming the shop after a combination of social media postings and media coverage. Now, even after 5 years of being in the business, long queues still swarm the store daily, and he reveals that they sell an average of 200 bowls a day. In spite of their massive popularity, Gwern refuses to rest on his laurels, sticking closely to the mission of “serving delicious food at massive value”. At just $6.50 a bowl, customers were definitely getting a bang for their buck with a bowl of premium ingredients and a labour of tough, tough work, but the Noodle Story team was also starting to feel the pinch financially. In a tell-all Facebook post earlier in January, Gwern stated that prices would be increased to $7 – all in a bid to stay profitable, and most importantly, in the business. I asked Gwern about his decision, and he admits that the dire need to do so came because his food costs were far exceeding the industry standard. For four years, it had been a rough, bumpy ride. The profit margin was mediocre. I struggled, and it was only through sheer hard work and […] toiling 77 hours a week that I barely managed to stay afloat. At $7, his food costs are still at 48.9%, and while that’s still “barely manageable” for him, he stubbornly chooses to remain committed to providing value to his patrons. Other than huge profit margins, Gwern says that he has had to make big personal sacrifices as well. Working in a hot kitchen for long hours is also something that leaves him both mentally and physically drained at the end of each day. But for him, all this is just part of maintaining the high standards of his noodles – one that customers can fiercely vouch for. A story of pure grit, passion, and commitment to serving the best food to customers, Gwern and Ben’s efforts were not just recognised by foodies, but Michelin inspectors as well. An advocate of Singapore’s hawker culture, he admits that while more young hawkers are needed to keep the culture alive, the industry is still far away from being attractive to the generation that prefers 9-5 work hours and air-conditioned offices. For most hawkers, the hours are long. The work is tough. It’s hot like a furnace. But the most important factor is probably the working effort put in relation to income. […] In fact, it’s a must to work long hours to survive, using volume to make up for low-profit margins. For this, Gwern has some suggestions – to increase income by decreasing operational expenses (subsidised rental), better working environments (cooler, bigger spaces) and benefits (CPF, medical benefits etc); and finally – more public recognition for hawkers to increase the prestige of the job. With the rise of food blogs and mainstream media channels already producing more content that showcase the stories of hawkers, perhaps the last point is already something that’s in the works. 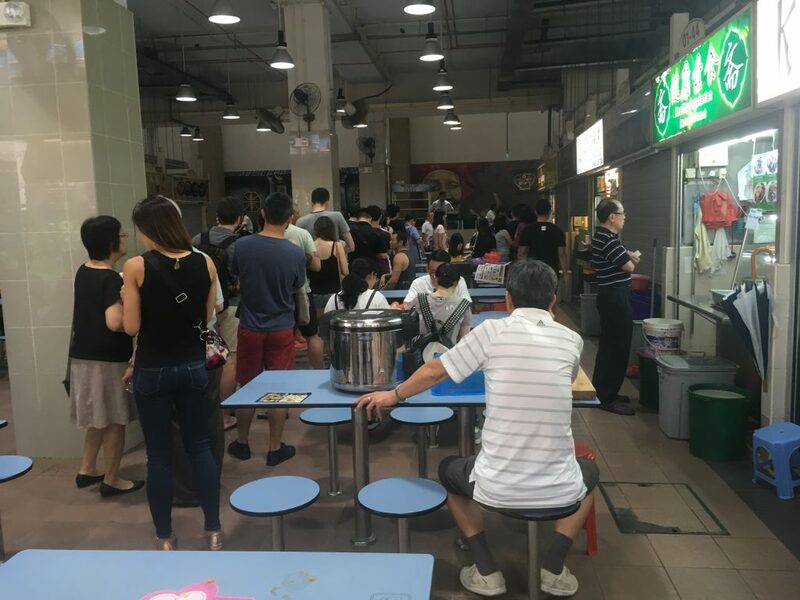 Don’t think for a moment that once you set up a hawker stall, long queues will form, and people will line up to stuff money into your pockets, and newspapers and TV producers will come knocking. If you want to be a hawker because you think things will happen like this – you’re wrong. So what’s the next chapter of A Noodle Story like?